Plans to cut the feed-in tariff (FIT) for offshore wind in Taiwan has caused an uproar in the industry, with many of the major developers now pausing activities in the country, until the issue is resolved. Taiwan has proposed cutting the FIT by 12.7%, limiting full-load hours to 3,600 annually and removing a so-called ladder tariff. Many developers, including Ørsted and Northland Power, which were developing a total of 1.4GW capacity in Taiwan, missed a 2 January deadline to sign power purchase agreements with utility Taipower. As a result of missing the deadline, the developers now face receiving the new, lower tariff. Ørsted complained that Taiwan’s bureau of energy had not issued establishment permits for its two wind farms, preventing Taipower from signing any power deal. Northland met with the same issue for its project. The Danish firm said any cut in the FIT would delay final investment decisions. In early January, Ørsted said it would "pause and revisit our project activities, the timeline of the projects, and our supply chain commitments and contracts". Meanwhile, a spokeswoman for Northland said the company was pushing for an appropriate FIT rate "that reflects the cost and complexity of establishing an offshore wind industry in Taiwan". "Despite recent developments, it’s not too late. There is still time to choose a way forward." The Global Wind Energy Council (GWEC) has used the experiences of European markets to warn Taiwanese authorities of what retroactive cuts can cause. "In France, a retrospective reduction to the FIT of 30% contributed to a stalling of projects that had been contracted through auctions and a current installed capacity of just 2MW. "None of the production and assembly hubs that were planned have been inaugurated and job-creation expectations have not been met," GWEC said. The annual full-load hours for Taiwan’s projects, using new technology, is expected to be around 4,000, compared to 3,800 typically seen in Europe’s projects using older, less-efficient turbines. A ladder tariff, used in Germany, allows operators to access a higher FIT in the early stage of project operation, and then a lower tariff towards the end of the contract. This allows loans to be paid back more quickly, reducing the cost of capital. "The cap on load hours constitutes, in GWEC’s view, a perverse disincentive for the efficient growth of Taiwan’s industry, as developers will not be rewarded for using the most efficient turbine models," GWEC warned. GWEC’s analysis predicted the proposed changes would cut project revenues by about 20% making the projects "non-investable, thwarting growth in the sector". "Taiwan has done an extraordinary job of establishing one of the world’s most exciting new offshore wind markets in a very short period of time," said GWEC CEO Ben Backwell. "Taiwan must stick to its plans and allow the industry to establish itself, or there is real risk of developers and investors exiting the market. "Despite recent developments, it’s not too late. There is still time to choose a way forward based on consensus and informed by the experience of other markets in the past so that Taiwan can avoid making the same errors and instead reap the benefit of a booming offshore wind industry." 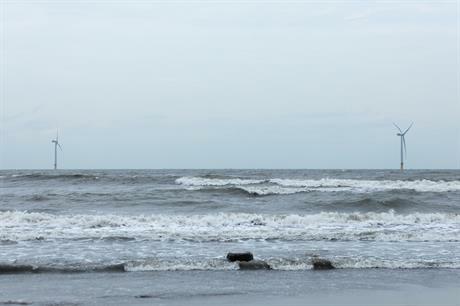 The Taiwanese government is targeting 5.5GW of offshore wind capacity by 2025. GWEC is hosting an offshore wind summit in Taiwan on 24-25 April 2019 to bring together developers and government officials.